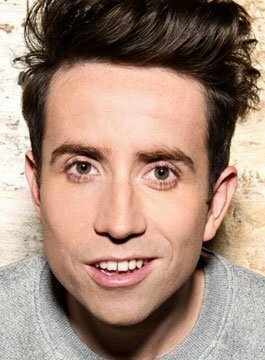 Nick Grimshaw is the host of the Radio 1 Breakfast Show. Nick’s first step into broadcasting was on student radio while studying Communications & Business Studies at the University of Liverpool. During his holidays he interned at a music PR agency working on regional radio promotion for the likes of The Killers and Depeche Mode. On graduation, Nick threw himself into the music industry, continuing to work as a radio plugger as well as taking on the new role of DJ promoter. In 2006 Channel 4 spotted Nick and at the age of 22 he was signed up as a presenter for E4 Music and the Channel 4 morning show Freshly Squeezed. With his easy charm, pop culture knowledge and confidence in front of the camera he soon established himself as one of the UK’s hottest young talents. Having cut his teeth in national broadcasting at Channel 4, Nick was next signed up by BBC2 where he co-hosted three series of their youth music show Sound, alongside Radio 1’s Annie Mac. Their chemistry proved a winner and Nick joined Annie on Radio 1 hosting the Sunday evening Switch youth strand, the show became a huge hit with listeners. In 2008 Nick Grimshaw was given his first solo Radio 1 show as host of the Weekend Breakfast Show. Then in 2009, he was offered the prestigious 10pm- midnight new music slot Mondays to Thursdays, which he presented for three years until taking over the reins of the station’s flagship Breakfast Show. Nick’s TV career has grown alongside his radio work. As a lover of art he, is also an ambassador for the Royal Academy of Arts and hosts regular Facebook Q&A’s for The Tate Modern. His presenting skills are also regularly called upon, with hosting duties for the Elle Style Awards, the BRITS nomination awards, the ASOS Summer Party and the L’Oreal Colour Trophy Awards.